Why I’ve Completely Rebranded My Website and Why You Should Too! If you haven’t followed me for that long, you may not have noticed that I’ve changed my website. I’ve completely rebranded my website and narrowed down on some of the writing niches that I cover. Once a writer focused on marketing locally, I now focused on wedding blogging, lifestyle blogging, and parenting blogging. What was the reason for this change, I hear many of you ask? Why focus on narrow niches? Doesn’t that limit who I reach out to and take on as clients? Well, yes and no. 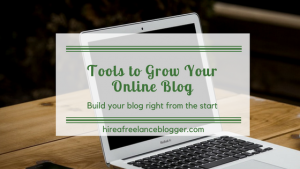 This isn’t a post that I had planned for today, but it’s an important one – one that I think you as someone looking to hire a freelance blogger needs to know. And you could take some of these lessons that I’ve learned to look at completely rebranding your own website. 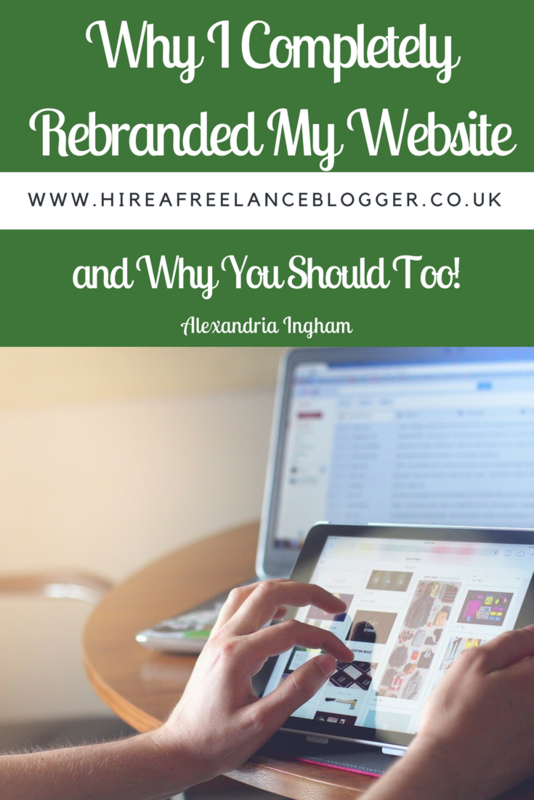 So, here’s why I’ve completely rebranded my website and why you should too! While branding myself as a Glasgow freelance writer was excellent for getting local clients, I didn’t always get to cover topics that I was that interested in. I have to be honest that there were some projects that I found extremely boring and monotonous. While there are plenty of people who have an interest in construction and plumbing, I’m just not one of those people. I did the work because it was offered and clients were willing to pay my writer rate. But I just wasn’t interested in it. I couldn’t put my whole heart and soul into a project that I found tedious or confusing or a headache. Now I get to focus on the topics that I’m most interested in. That’s a good thing for you looking for a blogger for hire. When I enjoy a topic, I put extra effort in. I will always give 100% on a project, but when I enjoy something I go above and beyond. My creativity is able to flow so much better and that will definitely show in the work. Working with niches that I love means that I can connect with your audience better. Creating your content calendar is a piece of cake. In fact, I want to delve deeper into your calendar and your offerings for your audience, because I know more about what they want from you. Another major benefit is that I’m already an expert in the areas. I’ve been a wedding writer and a parenting writer from the very beginning. You know why? Because I could write from experience. Lifestyle writing is something that comes naturally, whether it’s personal finance, style, or beauty. I’m already an expert. I know what I’m writing about and the research is just to back up what I already know. When I do need to do a little extra research, I know the first places to go for high quality sources. None of this Wikipedia stuff! Your content is going to be much better. It’s written by someone who is an authority on the topic; someone who can write for your audience’s needs. Yes, that means slightly higher rates but it’s worth it for the better quality and informative content, right? Some of these niches are highly saturated. I get that but that doesn’t mean I can’t compete. You know why I compete in these areas? Because I never, ever run out of content ideas. Need some blog posts about wedding planning? You’ll be surprised at how many I can do without ever covering the same thing. There are a million different angles to take! I know this because of the experience I have. I can do it because the creativity will continue to flow. As I think of one idea, a thousand more jump into my head. I wish I could show you the multiple notebooks I have for my blog idea banks. 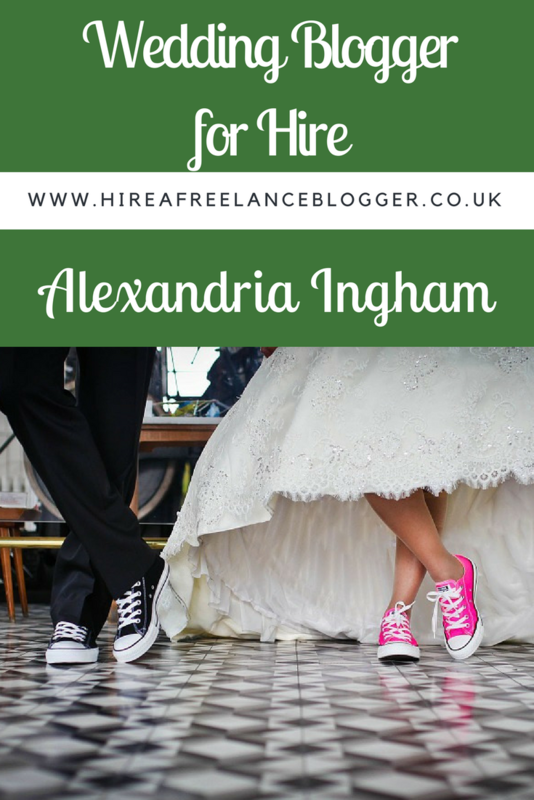 You will never run out of content for your website when you hire me as your wedding blogger or lifestyle blogger. Your parenting blog will stand out from all the rest thanks to the way I can make your content unique and creative. Why Should You Completely Rebrand? I promised that not only would I tell you why I completely rebranded my website but why you should too. Well, rebranding is a powerful way to relaunch a site and bring new visitors. It’s also a way to change the way you do work and create a site that is for your ideal client. Before my rebrand my site wasn’t focused on my ideal client. I didn’t know who you were five years ago. Now that I’ve gained more experience in writing and cemented myself in a few niches, I know who you are. The rebrand was necessary as I shrugged off the old and made sure you could find me. 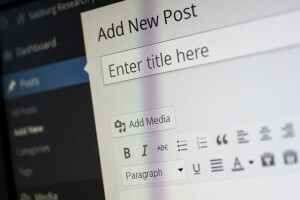 This is something you may need to do with your current website. Are you definitely attracting your ideal client or customer? If you’re in need of a wedding blogger for hire, get in touch and let me show you just why I’m the blogger for you. Want a lifestyle blogger to create content? I will work with you to stand out in your field. 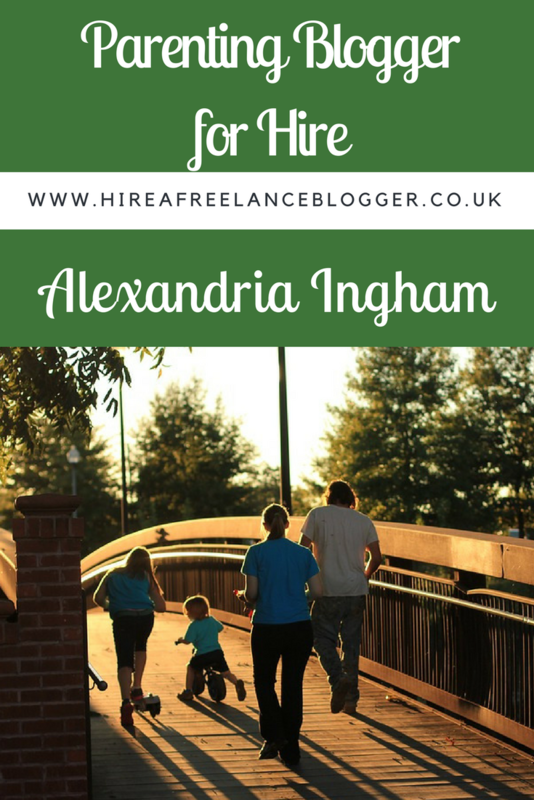 Need a parenting freelance blogger to help work on your content calendar and give you more time to spend with your own family? I’m right here to offer that chance. Get in touch with me today and let’s talk about your needs. 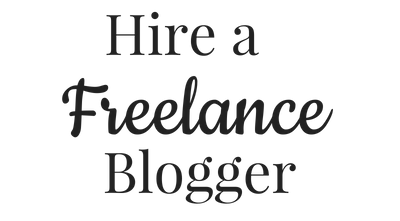 I offer a free 15-20 minute discovery call to get to know more about you and your needs – and so you get to know more about me as your perfect blogger for hire. 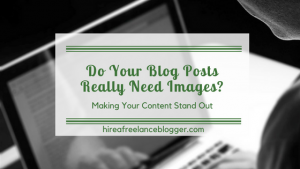 Do Your Blog Posts Really Need Images? Re: the fold – people will scroll beyond as long as you give them valuable information. See http://moz.com/blog/life-above-and-beyond-the-fold. This is obvious in the case of mobile devices! For mobile devices, yes. There are still people who expect the important information to be on one screen when it comes to computers, especially with larger monitors. It’s still best to have the important information at the top.